Jaclyn & Jeremy is another wedding we have been anxious to share. Mr. & Mrs. Smith couldn't be any sweeter. When we first met Jaclyn it was at her sister Laurie's wedding, which was another wedding that will stay in our memories. From time to time I'd see Jaclyn and she was always talking about our work and one day she would be book us to photograph her wedding. Well, that day came and it was such a pleasure. Jaclyn is one of those calm, sweet and caring people you just can't help but love and her and Jeremy compliment each other perfectly. We had a short fall here in Windsor (or at least it felt that way) but one of those beautiful fall days was Jaclyn and Jeremy's wedding. Waking up in the morning we were ready to go, mother nature blessed us with a gorgeous day and who more perfect to get married on this day than Jaclyn & Jeremy! Her beautiful dress from Bridal Couture which Ferah had the pleasure of helping her pick out during her time there. 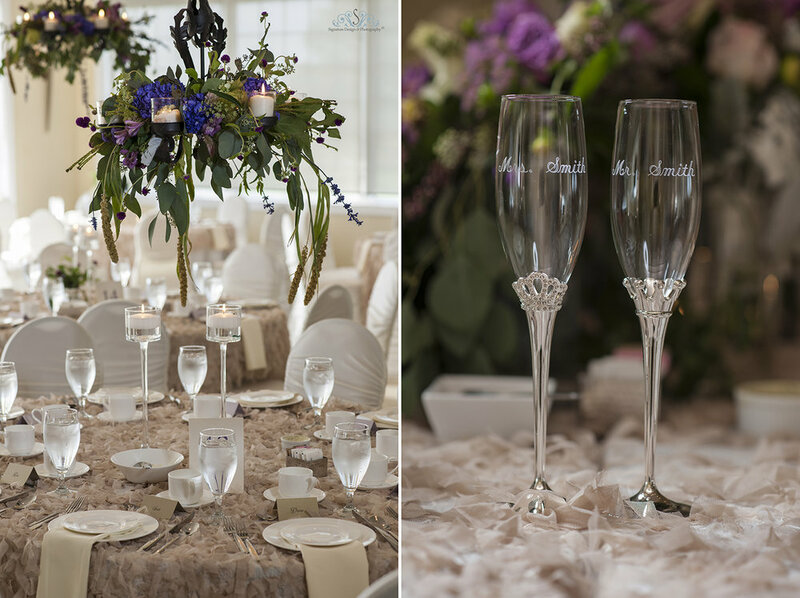 Wedding details are such an important part of the wedding day. Capturing things as they naturally happen are one of my favourite things about the preparation part of the wedding day. The light on Jaclyn was perfection throughout the whole day. So happy to see this family share in their joy for another one of their daughters. There's always that special moment when mom or dad take a look at their daughter all grown into a beautiful women. It's one of my favourite moments to capture throughout the day. Having the bride take a moment to herself after she's all dressed is essential in the morning. A photo with nieces and nephews is another part of the day I love to capture. I know that years from now when they back on this photo there will be nothing but smiles. I love the preparation part of a wedding day. There are so many moments to capture, both big and small. I love the soft light on Jaclyn here. She was so elegant in her Kenneth Winston gown. Jaclyn's parents live right next to a park and I just love the light that was coming down. Placing subjects in the perfect light is what I strive for every wedding day. Jaclyn was all smiles heading down the aisle. She just couldn't keep her eyes off of Jeremy. After the family portraits at the church we headed to a beautiful apple orchard and the light there could not have been more stellar. We never try completely pose a couple. I prefer to guide them and let them take control of the moment they are in. Really though, how could I tell them to look at each other like this? Feel the love! Such fun moments with this bridal party. I loved just staying back and watching these two embrace each other. Apple orchard and a barn. Love how it perfectly matched the wedding party! 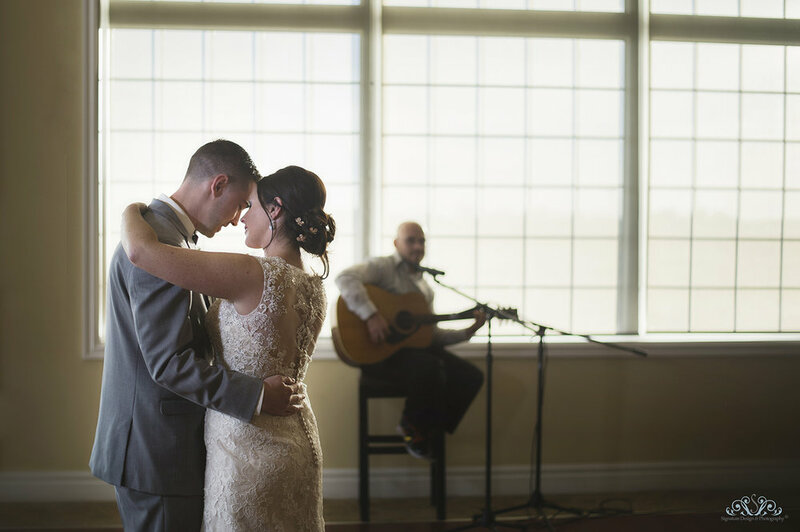 The images below show everything that I love about wedding photography. Dramatic light, gorgeous deep shadows. On top of that there is a natural connection between the bride and groom. You can pose the prettiest pictures in the most dramatic of locations, but if there is no real moment between the couple, there is no real picture. Jaclyn & Jeremy bring out the best in each other I cannot be more thankful to have been the one capturing these moments for them. The reception was held at Ambassador Golf Course. A first dance and beautiful glow of the sun setting, perfect end to a perfect day.